In the 1942 movie Casablanca, Captain Renault orders the local police to ’round up the usual suspects’ after Major Strasser is shot. Seventy-plus years later, many companies handle major IT incident response the same way—they build bridge calls with all the usual suspects before conducting any triage efforts. This ‘Ready – Shoot – Aim’ approach slows incident response time and creates additional work for our already overburdened fix agents. There is a better way. Before coming to Riverbed, I worked with IT service alerting systems. These systems are great ways to assemble large groups of folks quickly, but I now see that if you are using them to gather your triage team, you are using them for the wrong reason—you are automating an already inefficient process. You don’t assemble a large group of people to make a time critical business decision and you should not have to do that for IT incidents either. Riverbed’s SteelCentral Command Center breaks the silos by unifying application, network and other infrastructure views into a single view so you can easily triage and isolate incidents before engaging fix agents. This will focus your bridge call on the right issue and the right people so you can fix incidents quickly and efficiently—without rounding up the usual suspects. There are many examples where SteelCentral’s Command Center has helped customers reduce mean time to resolution (MTTR) while reducing the size, scope and duration of their dreaded IT incident management bridge calls, but one account in particular is near and dear to my heart. This customer lived in a reactionary world. They were constantly chasing minor issues and experienced eight major production issues during an average week. For each major incident, they would assemble a bridge call with representatives from thirty different teams including management and the impacted business unit. Bridge calls often lasted two-plus hours and could grow to over 200 people. No one from the technical side of the house was released until the incident was resolved. Maybe not to this extent, but does this happen in your organization? This customer implemented Riverbed’s SteelCentral Command Center. 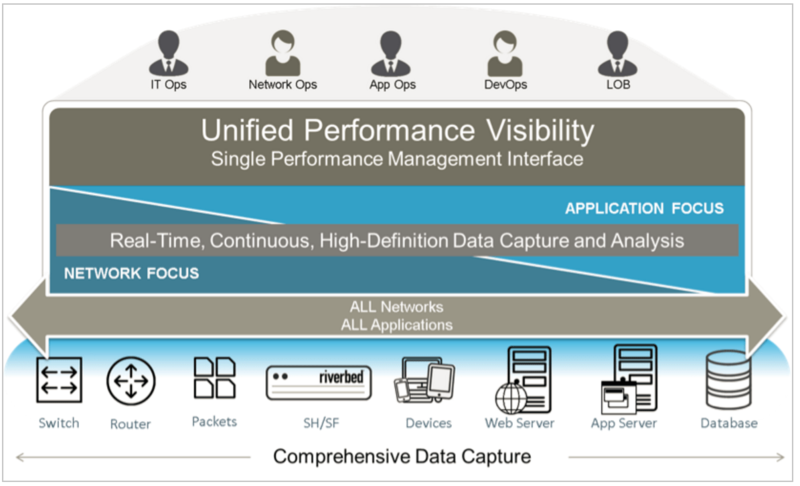 They now have a unified view of network, application and infrastructure performance in one place. When a major incident occurs now, their triage team isolates the issue and engages only those teams who need to resolve it. They have cut their initial bridge call attendance from over thirty to between five and seven people and they have reduced MTTR by 70%. Since they also have the stored performance data, their problem management team can review the forensics to determine and fix root cause. As a result, they have cut the number of future incidents by 40%. The unified approach provided by Riverbed’s SteelCentral Command Center helped this customer focus their resolution efforts which in turn helped them reduce downtime, reduce future incidents, use their already overworked technicians more effectively, and most importantly, improve relations with their customers. Visit www.riverbed.com/commandcenter to see how SteelCentral’s Command Center can help you take control of your IT environment.